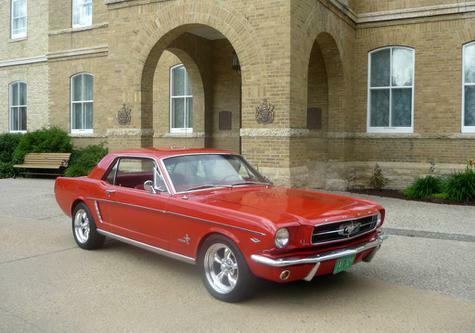 My 1965 Mustang Coupe. The car is largely stock. Since purchasing the car 12 years ago I have added front disc brakes, 4 barrel carb, electronic ignition, new Bilstien shocks on all 4 corners and new front springs. The previous owner installed a new ‘pony’ interior and converted the car to a true dual exhaust car. Sharp Mustang! My wife's first car was a 65 coupe.